Lowering the voting age is a bold idea to strengthen our democracy. Research from this country and others suggests that lowering the voting age can improve voter turnout, spur civic engagement, and encourage effective civic education. 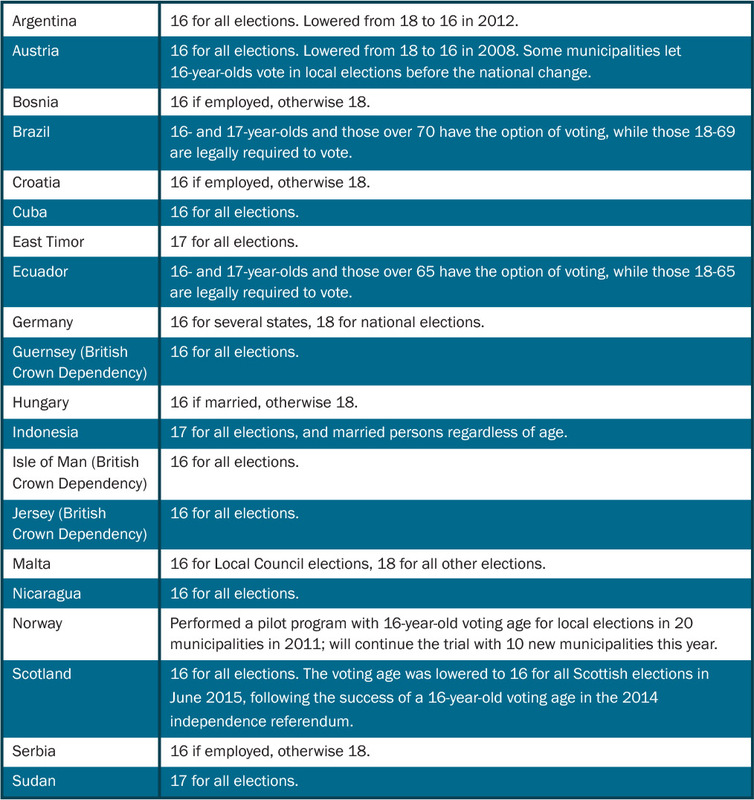 Countries around the world have voting ages lower than 18.